~ Home of the Big Cats — Lion’s Paw, Panther’s Run, Tiger’s Eye, and Leopard’s Chase, with Jaguar’s Lair slated for opening soon. When you come through the entrance of Ocean Ridge Plantation you’ll immediately discover the most exclusive and luxurious golf and beach community. 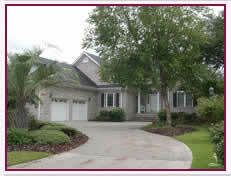 Located between Wilmington, North Carolina, and the exciting Grand Strand of Myrtle Beach, South Carolina, Ocean Ridge Plantation features traditional residential neighborhoods, each with distinct characteristics and charm. The neighborhoods are each decorated with lush landscapes, manicured fairways, protected woodlands, tranquil lakes and miles of walking and biking trails. There is an elegant country club lifestyle here at Ocean Ridge Plantation and it includes already built amenities like 4 championship golf courses, a private oceanfront beach club, and grand clubhouses, with more planned for the future. There’s also a spa and fitness center, a fifth Big-Cats golf course and many more world-class amenities. The beautiful neighborhoods of Ocean Ridge Plantation are elegant, classic, and exclusive. Many homes ranging from 1,600 square feet to over 2,800 square feet and golf, nature, and water view home sites are currently offered at extraordinary values. You can sample the lifestyle at Ocean Ridge Plantation for 3 days and 2 nights with a specially priced Discovery Tour Package. Experience all that Ocean Ridge living can offer you with a personal guided tour of this incredible retirement community. During your visit you can enjoy the coastal accommodations and activities such as a round of complimentary golf on one of the award-winning and challenging courses, or take a boat excursion along the Atlantic Intracoastal Waterway and discover the coastal beauty that surrounds Ocean Ridge Plantation. 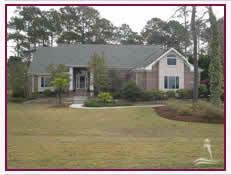 Lounge on the white sands of Sunset Beach, shop in historic Wilmington, or enjoy live entertainment in Myrtle Beach.